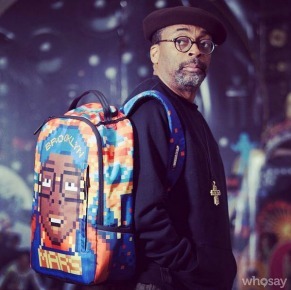 Will Spike Lee’s New Movie Ruin Chicago Tourism? Some Chicagoans are already objecting to the movie, before filming even begins. Aaron Pierce, a rapper in the city, has an “anti-Chiraq” campaign on social media. “That name belittles our city and I feel like it dehumanizes us,” he told The Chicago Trib. And, bit of a sidenote, if you do a search of “anti Chiraq” on Twitter a ton of tweets pop up, indicating that this is a well-known topic of conversation in the city. A travel expert and hospitality professor, Chekitan Dev, worries that it will have an impact on the tourism industry to the city. “It’s been known for a while that Chicago has been struggling with a violence problem. This adds fuel to that fire that makes it a wider perception among people,” he says. Others, like community organizer Charlene Carruthers, highlight the ways in which race, poverty and systemic bias have contributed to the conditions that lend themselves to the violence that plagues the city. The tragedy here, of course, is that there is this massive bloodletting and loss of life happening in a major city. More certainly needs to be done on that front. But beyond that, the issue raised here is one — to a lesser extent — that PRs have to consider often: Does talking about something bring negative or unwanted attention? Facing the facts is the only way to go about something like this. If an issue is an elephant in the room, tamping it down is really not going to stop all the chatter. It just means that it’ll be whispered. And when you can’t hear what’s being said, you can’t address it. As for the question of whether people won’t go to Chicago because of the “Chiraq” moniker: If someone was going to avoid the city for that reason before, the movie isn’t going to make a difference. A little Google research would turn up stories about homicides in the city. So we don’t need Spike Lee for that. The Tribune says that Lee has already been to the city, visiting a church and learning about the violence on the ground. Calling attention to Chicago’s struggle may also bring some much-needed national action.